When I mentioned to my mother that I was planning to make a traditional herb stuffing this weekend, she replied, “You should bake it in muffin tins!” She had just read an article in The New York Times in which the author was extremely pleased with the results of her efforts to concoct stuffing muffins that were crisp on the outside and steamy soft on the inside: “Imagine how good they must have been, then times it to the 10th power.” That was all the encouragement I needed to give it a try. 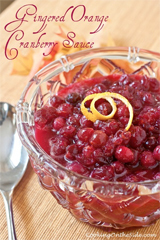 This turned out to be an excellent way to prepare stuffing, for a few reasons. Foremost, it maximizes the crispy parts, which are my favorites. Also, the individual portions are easy to freeze – in that it’s still over a week until Thanksgiving, you can be sure I’ll be saving these! Did the muffins stay intact? Some yes, some no. I think I attempted to remove them while they were still a little too warm. The recipe in The New York Times, with the addition of white wine and pancetta, appears to be a bit wetter than this McCormick recipe so it might have held together better. But even for the ones that fell apart, the extra-crispiness and individual portioning alone was enough to make this approach worthwhile to me. Melt butter in a large skillet on medium heat. Add celery and onion; cook and stir 5 minutes. Stir in thyme, poultry seasoning, seasoned salt and pepper. Place bread cubes in a large bowl. Add celery mixture and broth; toss gently until well mixed. Spoon into generously greased muffin tins, pressing down so each cup is well-filled. Bake for 25-30 minutes or until heated through and lightly browned. Thank you for this recipe! My husband and I were just discussing our menu and he suggested stuffing muffins – I was going to google a recipe today, but stumbled upon your blog – what luck! .-= Biz´s last blog ..Weigh-In Monday and Homemade Stone Ground Mustard =-. Just discovered your wonderful blog. 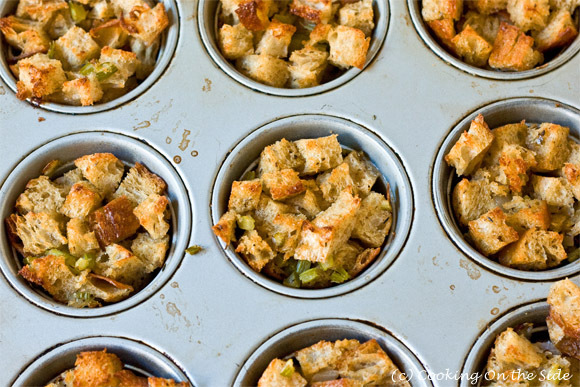 I love this idea of using a muffin tin for stuffing! Thanks! .-= Jenn´s last blog ..Sweet Potato Pecan Crisp =-. Looove that! 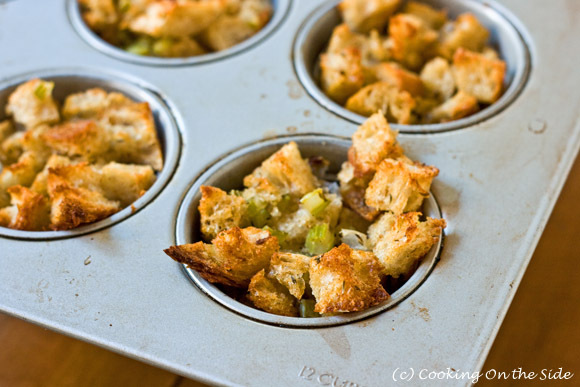 I have a favorite stuffing recipe that I’ll definitely try baking in muffin tins this year! Great idea! .-= Karly´s last blog ..Homemade Caramel Corn =-. Oh what a great idea! I’d love a few of these right now. Wow, these look amazing! 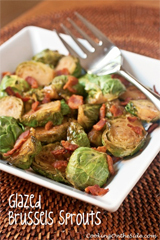 They will go perfect with the Turkey & Wild Rice Stew we are having this Thanksgiving. .-= Marie´s last blog ..Tiger Orchid Tiara =-. I think I love stuffing more than I love turkey. I could eat three muffins at least! .-= Nate´s last blog ..Honey-Glazed Yams =-. Bless this site. I needed the oven degree and cooking time. HAPPY THANKSGIVING!!! 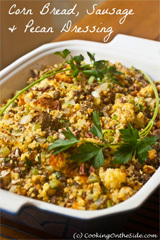 what a great way to serve stuffing (or use leftover)!